Very cool picture and article. It's all about the history. Thanks for posting. Yes - interesting! I wonder whether the Chevy or the Ford 4 cyl was the more technologically advanced ? Well, by the numbers still around, we sure know which one lasted longer! Well i had a 27 chevy engine in a doodlebug and a friend had a 28 nicely made pick up. 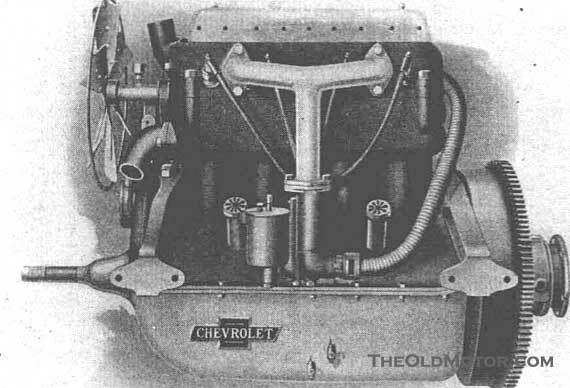 The Chevy had a little more power than the T but in 1911 Ford got the valve's out of the dirt.I'm sure it was at least 10 years before GM did the same? the valve's were easier to adjust in the Chevy but could you beat the oil clutch in the Ford?I think the Chevy engine was sort of like all the others that came along after Ford put the world on wheels! Bud. The building now appears to be the LA Convention Center. Winslow B. Felix Chevrolet is not far from there. 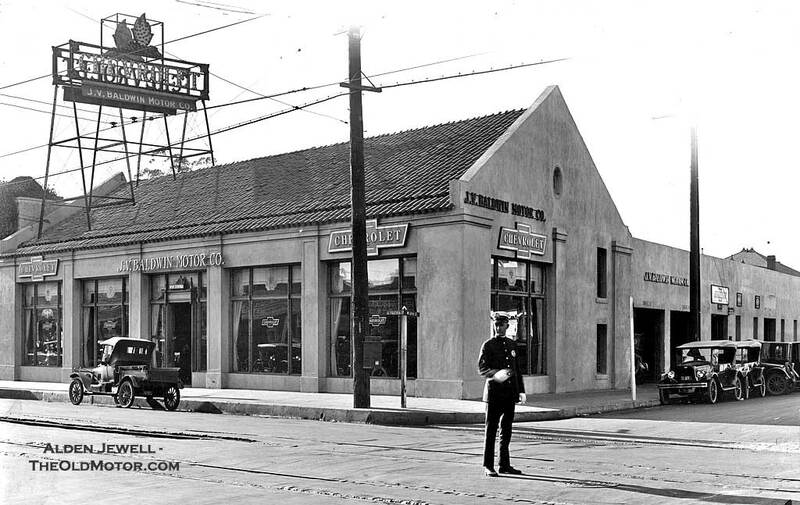 They've been in business at their location since 1920. I wonder if Baldwin Chevrolet encroached on Felix's franchise territory and was pushed out. By the numbers still around? Let's see: Ford Model T 15,000,000 production run. Chevrolet 490 633,000 production run. No wonder there are more Model T's still around! I forgot to say i never had a free start from a Chevy but i have cranked them! Bud.